kiss (99-09) 2010 from Charlie Murphy on Vimeo. Integrating excerpts of dialogue with recordings of kissing taken from inside the mouth, composer Jorge Queijo has developed a mesmerising score that integrates the sound of kissing with electronic, choral and cello instrumentation. This work is also presented as a performance – which combines live audio recordings taken from inside a kiss – with prerecorded instrumentation, electronic samples and a haunting cello solo performance by Tara Franks. 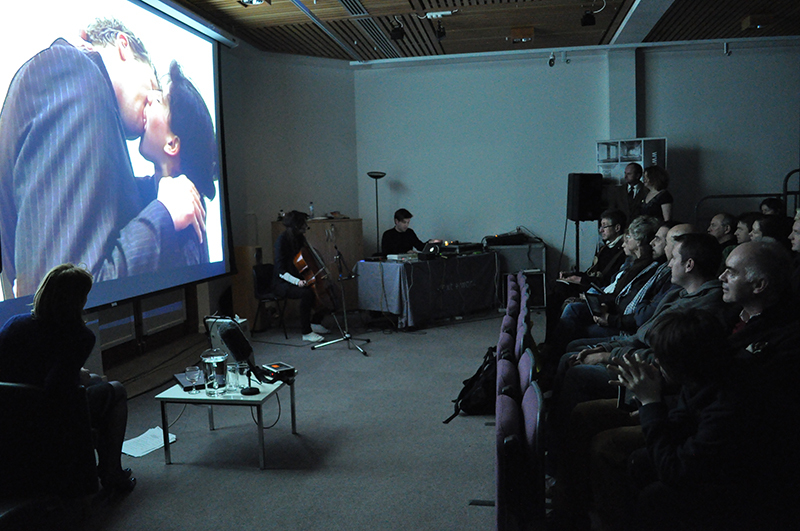 Performance of score by Jorge Queijo including live sound recording of an audience members kiss, electronic improvisation and live cello from Tara Franks. New adaptations of this work may be developed on request.